The healthcare providers at Memorial Hermann Medical Group (MHMG) in Pearland provide a wide array of quality primary care services. Our family medicine specialists focus on precise diagnosis and up-to-date treatment, but the heart of our practice is caring and empathetic relationships with patients of all ages – newborns to seniors. Memorial Hermann Medical Group (MHMG) in Pearland is open five days a week from 7 a.m. to 5 p.m. for appointments. Our physicians, who have years of experience in family medicine, focus on building long-lasting relationships with their patients. They are specially trained in diagnosis, treatment and prevention of disease and skilled in managing diabetes, hypertension, infectious diseases, kidney disorders and other chronic conditions. Dr. Talati is devoted to the care of patients and offers a full range of healthcare options, including preventive medicine and treatment for existing problems for patients of all ages, from children to seniors. 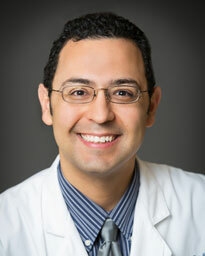 Dr. Talati’s special interests include women’s health and preventive medicine. Dr. Torres sees patients from newborns to adults. Among the many conditions he treats, his clinical interests include care of young adults, pediatrics, and preventative medicine. Fluent in medical Spanish, Dr. Torres enjoys the variety and continuity of care that family medicine provides, and appreciates the importance of communication and building trust with his patients. 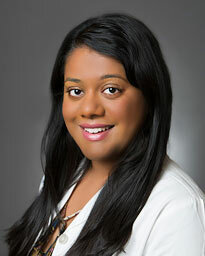 Dr. Watts is a family medicine and physician serving patients of all ages. 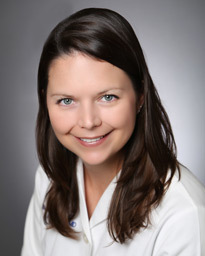 A graduate of the University of Texas Medical School in Houston, Dr. Watts completed her residency at Memorial Family Medicine Residency Program in Sugar Land, Texas. She chose to specialize in family medicine because she loved every part of her medical school training and wanted to help all age groups be well. Akuvi Elhor Gbito, M.S.N., RN, FNP-C, family nurse practitioner at Memorial Hermann Medical Group Pearland, received both her bachelor’s and master’s in nursing from The University of Texas Health Science Center School of Nursing. Fluent in French, Akuvi sees patients from 2 years old to adults and has a special interest in wellness and preventive medicine with an emphasis on early detection and treatment of various chronic diseases. The Memorial Hermann Medical Group Pearland is located on Shadow Creek Parkway just west of the Highway 288 (South Freeway) frontage road, near the Pearland Town Center and Shadow Creek Ranch. Select a physician or the ScheduleNow button to schedule. Click on an available appointment time or call the number above. Akuvi Elhor Gbito, M.S.N., RN, FNP-C, family nurse practitioner at Memorial Hermann Medical Group Pearland, received both her bachelor’s and master’s in nursing from The University of Texas Health Science Center School of Nursing. The Memorial Hermann Medical Group Pearland is located on Shadow Creek Parkway just west of the Highway 288 (South Freeway) frontage road, near the Pearland Town Center and Shadow Creek Ranch. Surface lot parking is available for both patients and visitors. From the lot, the entrance to the center is clearly labeled.